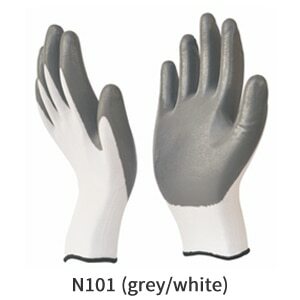 This unique formulation of double Nitrile Coated Gloves on Nylon or Polyester Liner helps to prevent liquid Penetration while providing secured grip with superior dexterity & comfort. Sandy Finish Coating recommended for grip in Oily Condition. This specific formulation of foamed Nitrile offers excellent dexterity with secured dry & oily grip while providing greater breathability. The superior dexterity for most tactile of applications. 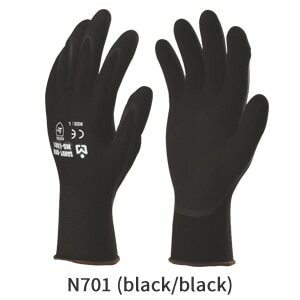 Nylon or Polyester Seamless Knitted Soft Liner combined with unique formulation of Nitrile dipping provides excellent level of comfort & dexterity. The Nitrile coating provides excellent abrasion resistance with superior grip in wet & dry applications. Open back for greater breathability. Stretched Filament yarn ensures low lint, keeping high sensitivity of hands. Snug fit. Also available in option of Fully Coated in Front & Back & up to Knuckle Dip on the back for extra protection.